Microsoft is said to be developing a new series of budget-friendly Surface devices in an effort to compete with Apple’s lower-tier iPad. The lower-cost Surface tablets are expected to sport a 10-inch display and USB-C ports, sources familiar with the plan told Bloomberg. The edges of the tablet are rumored to be rounded, closer in form to an iPad than current Surface devices. More than that, they’ll be priced thoroughly in entry-level iPad territory at around $400. They’re also reported to be about 20 percent lighter than current Surface Pro models but will sport about four hours less battery life. The lower-cost Surface devices will come in different storage configurations, including 64- and 128-gigabyte models, with some variants sporting LTE connectivity. The entry-level Surface devices won’t come bundled with a keyboard cover, but Microsoft is considering lower-cost variants of its current Surface accessories — including the aforementioned covers, as well as styli and mouses. It’s a strategy that Microsoft has tried before, Bloomberg points out. 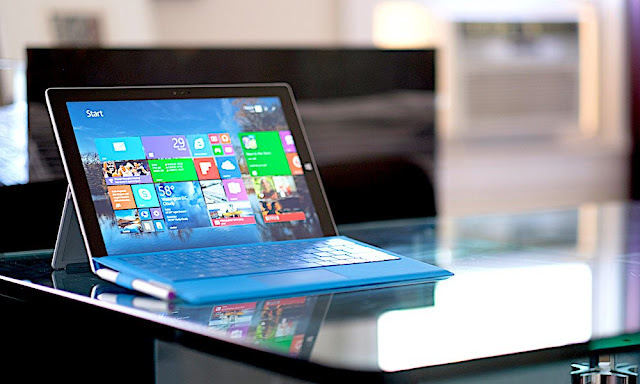 In 2012, the original Surface RT retailed for $499 but failed to resonate with customers. In response, Microsoft switched its tablet strategy to include professional-grade devices — which, in turn, contributed to demand for professional iPad devices. Apple launched its first iPad Pro in 2015. Current Surface Pro devices start at $799. But, as Bloomberg notes, Microsoft’s Surface lineup has yet to become a “high-volume hit” for the firm. Last fiscal year, total Surface sales declined by about 2 percent. According to IDC market research, Apple sold about 9.1 million iPads in the first quarter of 2018. In comparison, Microsoft sold about 725,000 tablets in the same period. Apple launched a new iPad model in March that starts at $329. The surprisingly powerful device is aimed at the education sector, a sphere that Microsoft presumably hopes to target with its own line of budget-friendly tablets. Along with upgraded specifications, the 9.7-inch iPad also includes Apple Pencil support for the first time. While a $400 starting price is rumored, Microsoft has yet to finalize its pricing strategy. The last time it released a tablet at this price point was in 2015 with the launch of the $499 Surface 3. That device was killed off near the end of 2016.